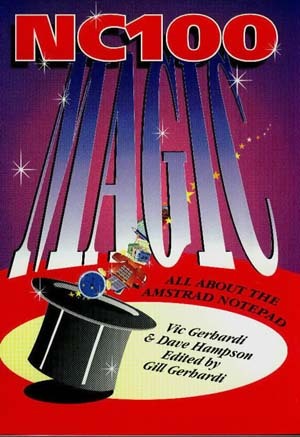 This book will help you get to know and love your Amstrad NC1OO Notepad after the first five minutes. It is written in plain, understandable English. Even those who are familiar with computers will be able to use it and get more from their NC1OO, especially since it includes many hidden commands. There is also something in this book for those already using computers on a day-to-day basis. Anyone coming to the Notepad thinking that they know it all will get a surprise. In an attempt to make the Notepad as user friendly as possible, Amstrad has dropped many of the normal computing conventions. Everything about the NC1OO makes it look fun to have, which masks the power lurking inside. 'NC1OO Magic' will help its readers tap into that additional power and make the Notepad really work for them. Word processing in depth, including extra hidden commands. Using the calculator · Mailmerging (in detail). All sections have lots of easy to follow examples. NC1OO Magic is essential reading for all NC1OO users.